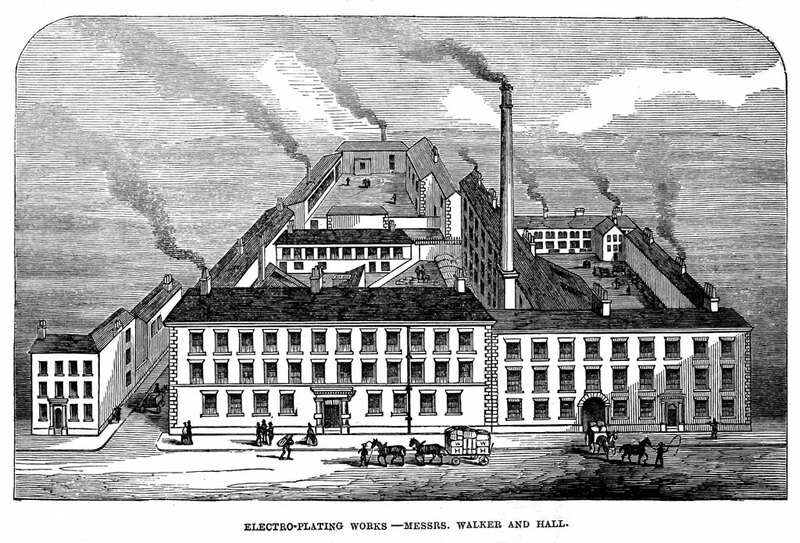 Walker & Hall's Electro Works from 1862. The company made its fortune from electroplated items, hence the name. ©Picture Sheffield. 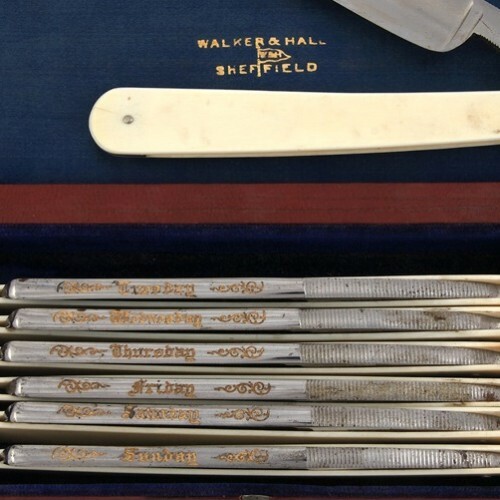 The origins of the company Walker & Hall began with John Harrison, a Britannia-metal worker who took out the first licence in Sheffield from Elkington on 13 June 1843, to make electroplated items. He hired George Walker to go to Birmingham and learn the electroplating process. 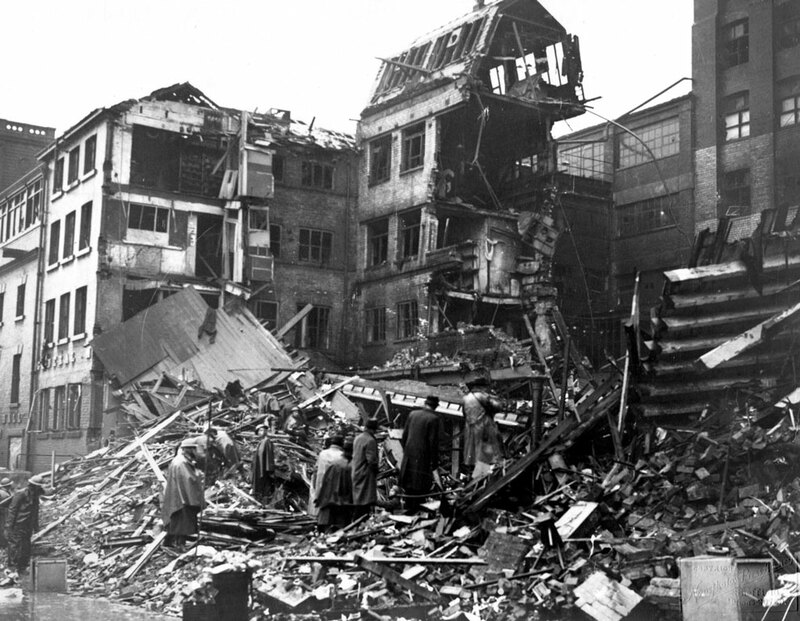 Walker did this, but two years later he decided to leave John Harrison’s employment and set up on his own, taking out a licence for him and his business partner, Samuel Coulson. 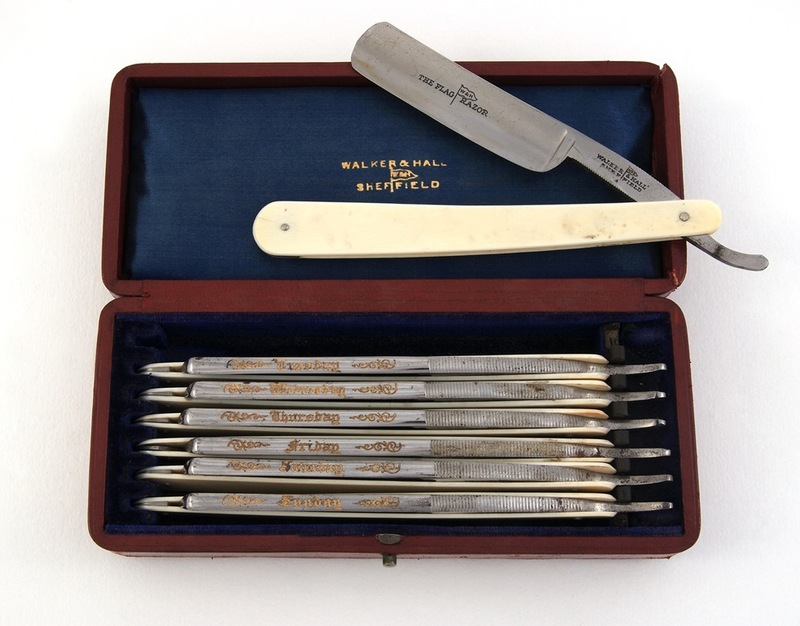 They did not start manufacturing straight away, but soon after he did he was joined by another partner Henry Hall; the company of Walker & Hall was born. Two of Henry Hall’s nephews joined the business in the 1850’s, when Sir John Bingham joined in 1852 they had fewer than 20 workers. 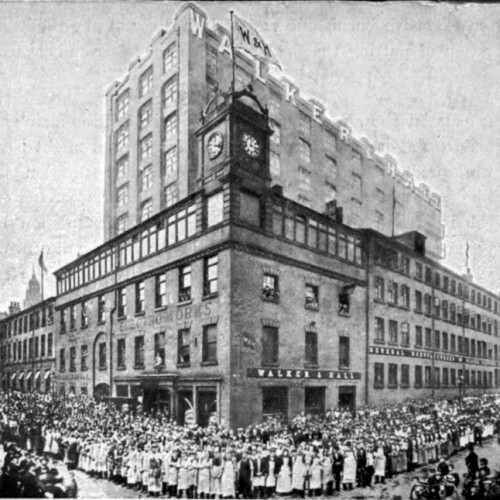 Charles Henry Bingham joined later and helped grow the manufacturing side of the business. 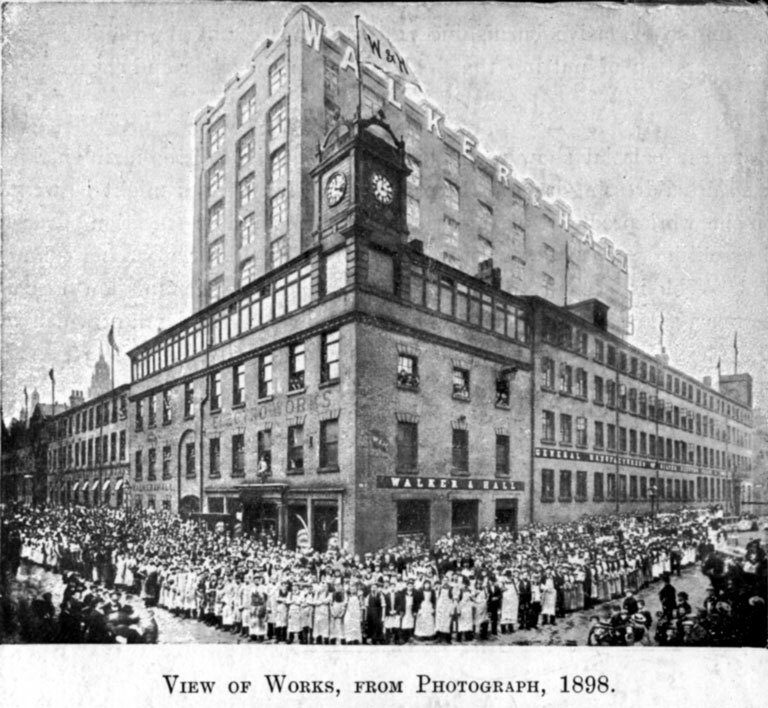 By 1894 the company reported 1500 employees in total. 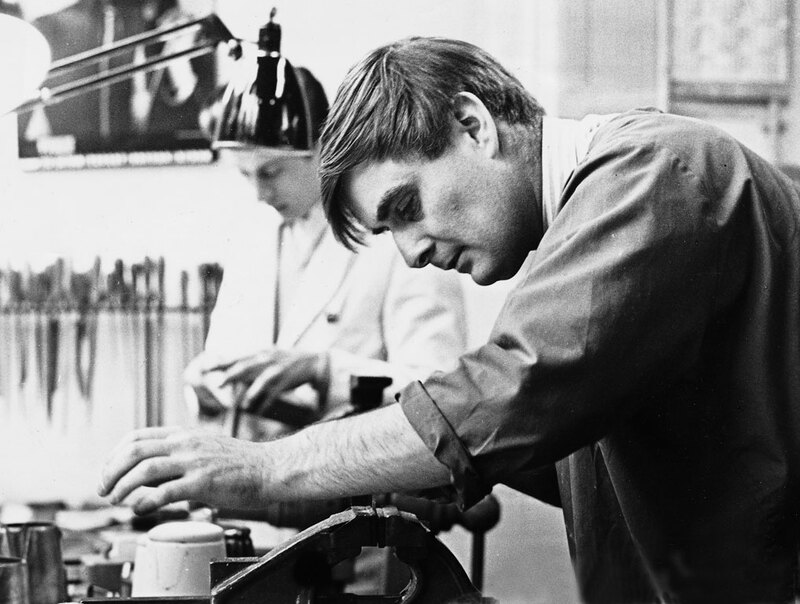 The company under Sir John Bingham was adept at publicity; they appear to be the originators of the story that George Walker was a co-inventor of the electroplating process with Dr John Wright, and that Wright took him to Birmingham because ‘the youthful prodigy was so necessary’. This is sadly untrue, but the story has made it into many texts as fact. 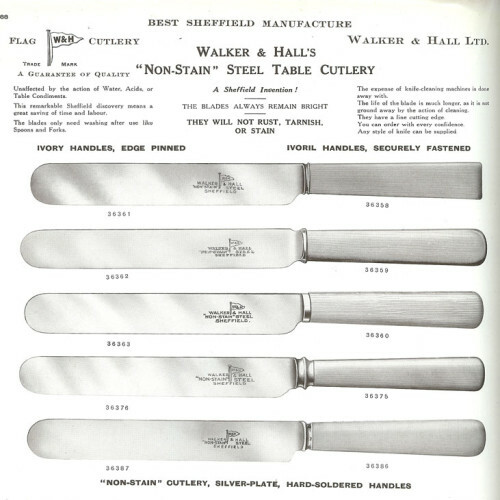 Walker & Hall specialised in electro plate, cutlery and silver. 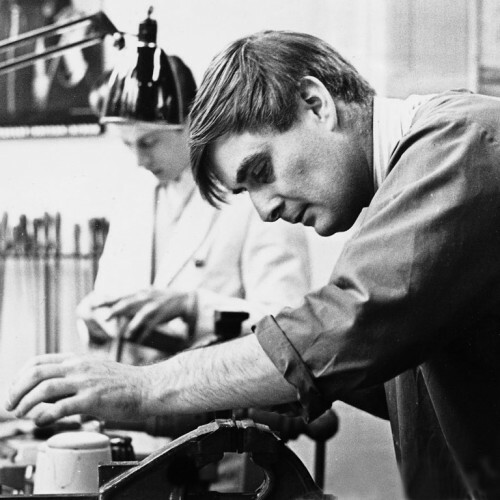 In a bid to modernise an increasingly old fashioned post-war range of goods, the company director hired the young designer David Mellor in 1954 soon after his graduation from the Royal College of Art. 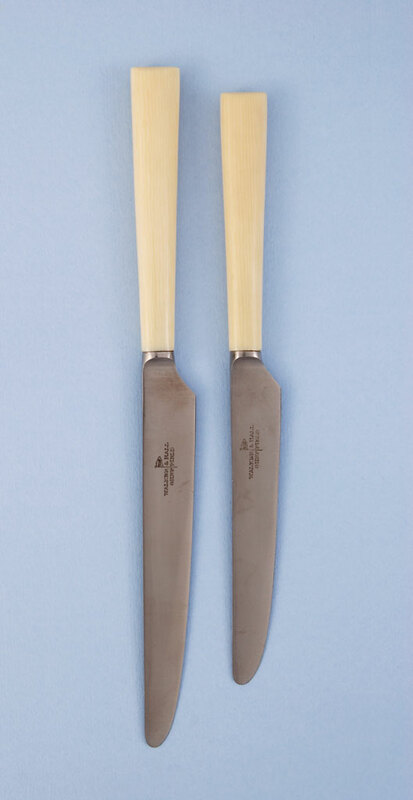 Mellor produced his stripped down modern cutlery designs first in silver plate, then in stainless steel. The ‘Pride’ range featured here won one of the first Design Centre awards in 1957. 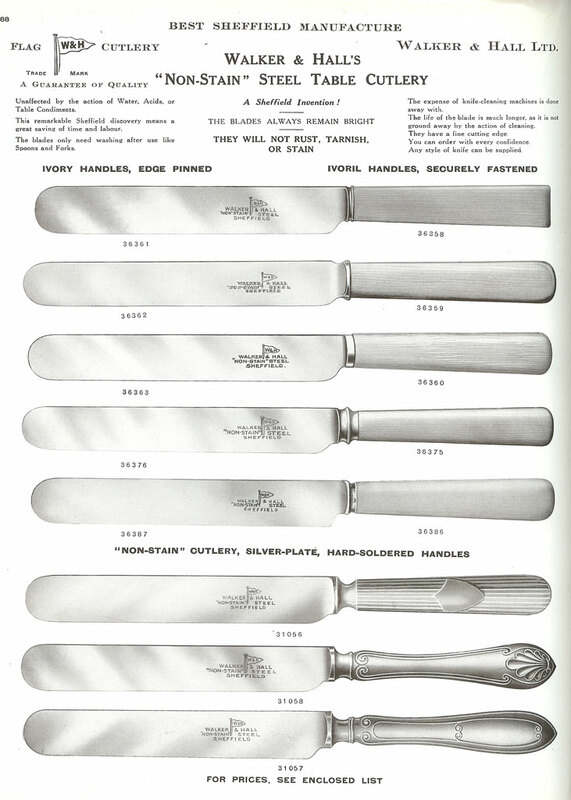 Walker & Hall were subsumed into the Clore Group and ultimately into British Silverware Ltd in 1963, and finally shut down as a manufacturer in 1971.The name was later revived as a retail firm. I have a canteen of cutlery left me by my grandfather. 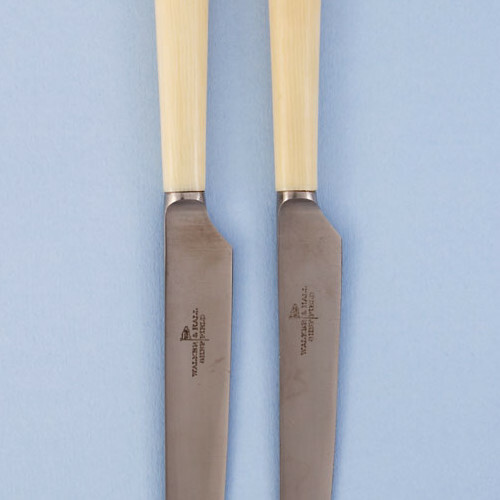 Walker and Hall bone handles and stainless blades, the blades which have gone slightly rusty and some of the canteen is missing could you restore and replace if i brought them to you? The will be an electroplate (the A1 is for the best quality plate) jug made by Walker & Hall, a large metalworking firm in Sheffield from 1845 until the 1970s. The number 61 will be a pattern number or worker’s number, to keep a track of production when people were paid by the piece. Hi, I have recently bought a lovely Walker and Hall mustard pot and spoon, it is stamped Walker and Hall, Sheffield on the bottom. 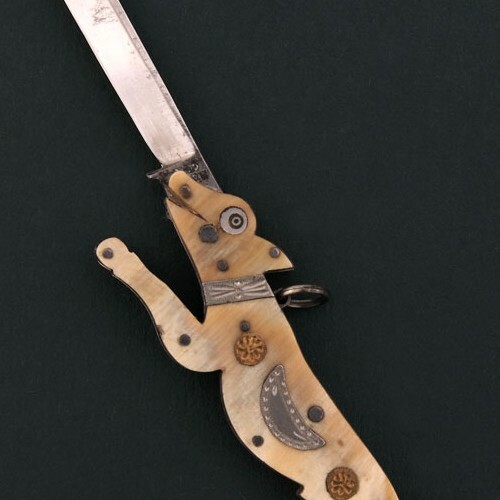 I would like to know if it is silver plated and approximately what date it was made. Many thanks, Melanie Ogden. I was given an old toast rack with all of the correct markings and a Number 53256 engraved. I think it is pewter. Can you tell me more about it and would you like me to send a picture?. 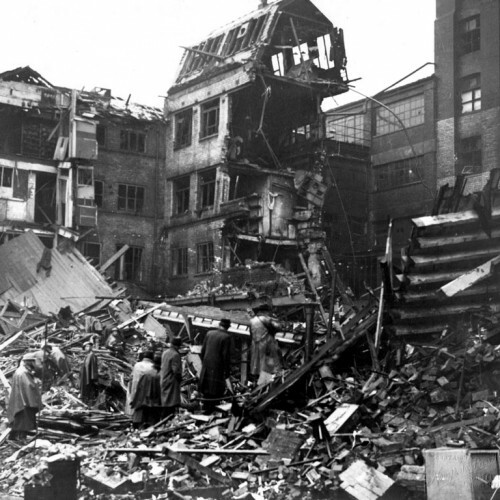 My late father was Manchester born and was in the RAF during the war, WW2 that is. Whilst clearing his belongings I came across his knife that he always used to eat with at meal times and couldn’t bring myself to throw it away. It’s seen better days as obviously sharpened many times but it has sentimental value as it has an “Avro” stamp on it and many of my family had worked at Avro’s in the past. All I know about Avro is their connection to The Lancaster Bomber the successful cousin to the failed Manchester predecessor! I’m just intrigued as to its origin? Any ideas? It just says “Non-Plate Sheffield under the H & W flag! Thank you.